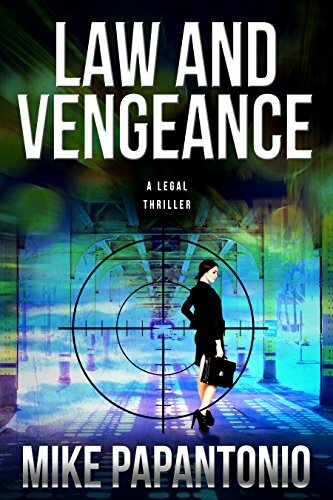 If you enjoy legal thrillers, you'll want to keep reading to learn more about Law and Vengeance by Mike Papantonio. I've always enjoyed reading about our legal system and how it works. That probably explains why I enjoy reading legal fiction so much. I received a book for this post. This post contains affiliate links, and I will receive compensation if you make a purchase after clicking on my links. 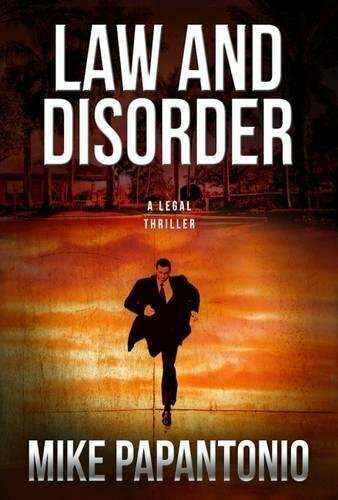 Mike Papantonio, a leading trial lawyer and the television host of America's Lawyer, has delivered his new action-packed legal thriller. This time, his leading character is the beautiful, determined Gina Romano, who built her career as a criminal trial lawyer by believing she could play by the rules and still achieve justice for her clients. But the gruesome murder of her law partner and former lover has turned her world upside down - and suddenly she's on a playing field where there are no rules. When Gina learns America's largest weapons manufacturer has her in its crosshairs, she realizes this time the pursuit of justice is not enough. In her two-pronged attack, against her enemies, her strategy is to win both in the courtroom, and, when necessary, outside of it. Based on a real case, Mike Papantonio, delivers the goods in his carefully drawn, likeable characters and a smart, well-told adventure. Law and Vengeance is a follow up to Mike Papantonio's first book, Law and Disorder. I haven't read the first book, but you don't really need to since the author provides two vignettes in the beginning of the book to give you a bit of history. Gina has had a difficult past but she has become a strong, powerful woman. Her partner has been murdered and she finds that she is the next target unless she can build a case against the weapons manufacturer and bring them to justice. I love that this story is based on a real court case. It makes it all the more fascinating to see how the legal system works or doesn't work. There's just so much going on in this book that I could not put it down. The action includes assassins, the Department of Justice, gun rights lobbyists, and terrorists. All the while, Gina needs to stay true to herself and avoid becoming the next victim. If you enjoy Legal Thrillers, you'll want to read this. Buy it now.